Instaport is a tool that lets you backup the photos you've taken on Instagram for Android or iPhone. If you're an Instagram super user, you likely taken hundreds of pictures via the innovative photo-based social network. If you want a way to back them up and save them to your own computer, Instaport can get the job done for you. Using Instaport is simple and only takes a few steps. 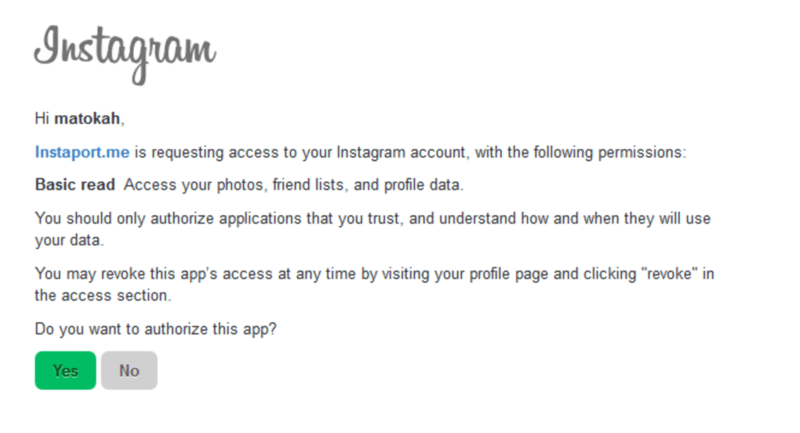 Just sign into your Instagram account, choose "Download .zip file" and then click the green "Start Export" button. In the future, it seems like you'll be able to export to other locations such as Facebook, Flickr or RSS, although the option is not currently available. 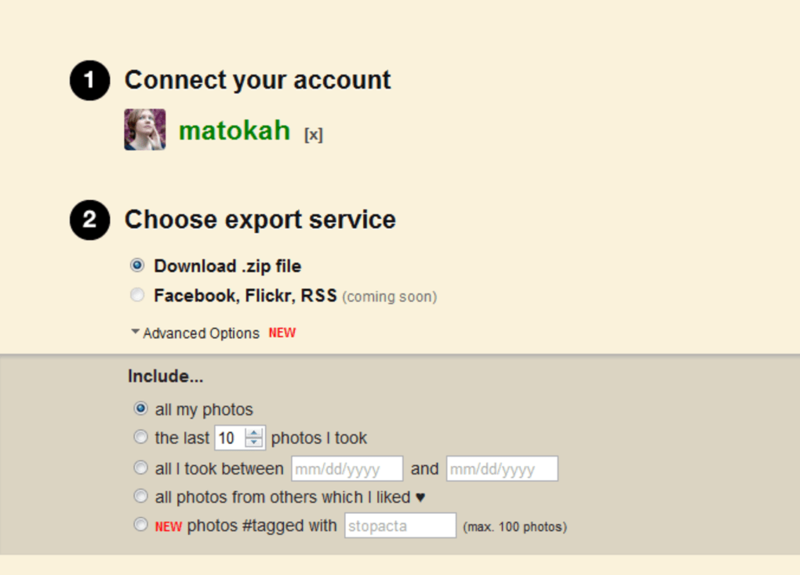 There are also some advanced features in Instaport if you want to customize your export experience. Some of these include choosing to export all of your Instagram photos (the default setting), exporting a set number of most recent photos you've taken, selecting to export photos within a date range, with a specific tag and more. 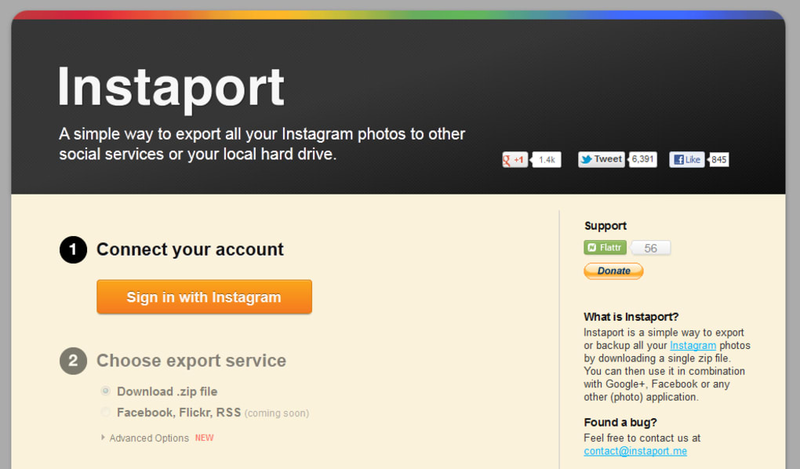 Unfortunately, if Instaport is experiencing high traffic, your export might take quite some time. The same goes for if you're trying to export a large bundle of photos all at once. 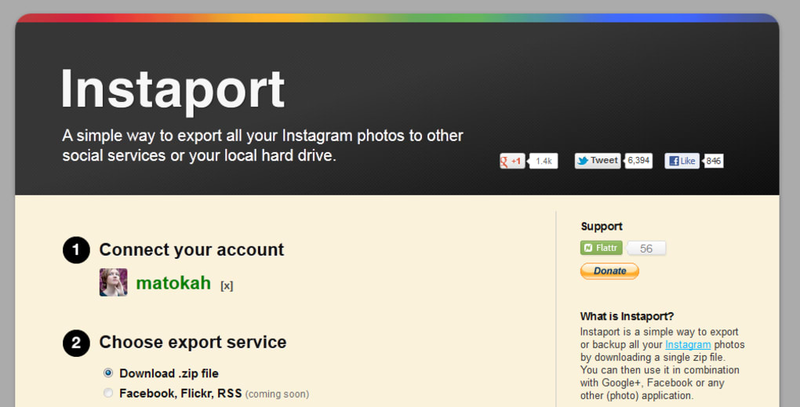 Instaport provides a convenient and easy way to export your Instagram photos for backup on your own PC.